Rhogan Eric Stanley Duke, 21, was killed in a crash on January 12, 2014 near Coonarr. His cousin Ryan Thomas Edward Rohan, 27, was jailed over the incident. A BUNDABERG man who registered a blood-alcohol reading of 0.133 following a crash that killed his cousin will spend the next 13 months behind bars. Ryan Thomas Edward Rohan, 27, pleaded guilty in the Brisbane District Court to dangerous operation of a vehicle causing death stemming from a crash during the early hours of January 12 last year near Coonarr Beach, south of Bundaberg. His cousin, Rhogan Eric Stanley Duke, 21, died in Bundaberg Hospital on January 13 after succumbing to his injuries that an autopsy report described as catastrophic and non-survivable. Crown prosecutor Clayton Wallis told the court on Monday that Rohan and Mr Duke, along with other friends, had been drinking at a nearby property before a fateful decision was made to check on some crab pots they had left soaking earlier in the day. He said four people then piled into a Toyota Hilux and Rohan got behind the wheel - a car he should not have been driving given his medical condition. "Rohan had a stroke in 2006 that left him paralysed down his left-hand side, resulting in the requirement that he only drive automatic vehicles and one with a device attached to the steering wheel to help him drive," he said. "He managed to drive 200m along a narrow country road before he lost control of the vehicle and it flipped several times. 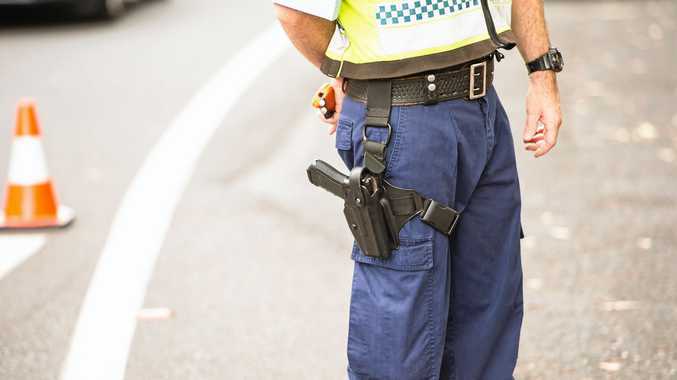 "Mr Duke and his girlfriend Grace Bertram, who were sitting on two reclining chairs that had been put in the ute's tray, were thrown from the vehicle." Rhogan's mother, Mary Duke, read out a victim impact statement to the court in which she described the daily torment she felt at losing her son. She said she had experienced some very dark hours since the crash. "I was told that my son's head was mush due to his injuries and that no operation could save him," she said. "I will never forget placing my hand on his coffin at Bundaberg cemetery while it was being lowered into the ground until my hand no longer touched it. "I will never forget sitting alone in my car outside the coroner's office holding my son's death certificate thinking to myself, how did this happen?" Defence barrister James Godbolt said Rohan was genuinely remorseful at what happened and had penned a letter to Rhogan's family. He said this was a case where there were no winners. "The events that night can only be described as tragic," he said. "One person is dead, another's life is ruined and a family has been split as a result of this incident." Judge Paul Smith sentenced Rohan to four and a half years behind bars but ordered the term be suspended after he had served 13 months. He said he accepted there was no excessive speed, erratic driving or negligent driving in the lead-up to the crash. "A combination of alcohol and your impairment led to this crash," she said. "Many lives have changed forever since that night. "I hope both families can heal and move forward after today if that is at all possible." "I will never forgive him"
MARY Duke says she will never forgive her nephew for taking her son's life because she does not believe he is genuinely remorseful. 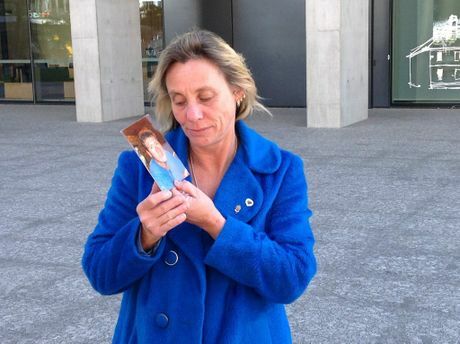 She said all she ever wanted was for Ryan Thomas Edward Rohan to meet with her face-to-face and tell her what happened the night her son was killed. Mrs Duke, speaking to APN Newsdesk outside Brisbane District Court, said she had not read the apology letter Rohan had penned to the family. "All I ever wanted was for Ryan to come to me in the days following the crash so we could help each other," she said. "I even offered for him to go and say goodbye to Rhogan before he died in hospital. "But his treatment, and for what he put us through, in the months following the crash ... that I will never forgive him for. "It (the sentence) was never going to be long enough, justice has been served but it will never bring my son back."